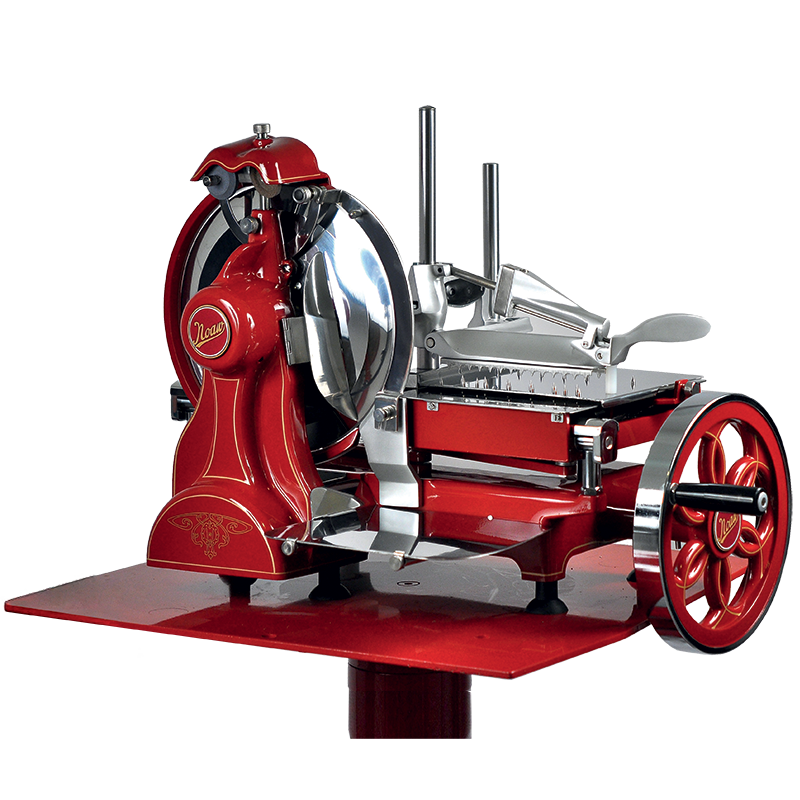 300L Luxury Manual flywheel slicer with a diameter of 300 mm blade it has a flower flywheel. Built completely in aluminum and stainless steel with particular chromed parts. It’s a compact, functional slicer and extremely easy to clean thanks also to the removable parts. Very elegant, reminiscent of the old slicing machines; it’s the perfect slicer for the user that is seeking for the perfect slicer. It can be used in restaurants for the excellent quality of cut but is also as a piece of furniture for the various locations. The integrated sharpener allows a simple and easy sharp of the blade by the user. It is available in red colour as standard. On demand it can be supplied in several colours at choice. 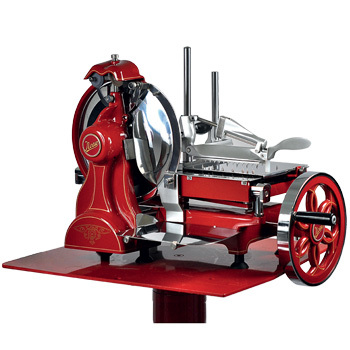 Luxury Manual flywheel slicer with a diameter of 300 mm blade it has a flower flywheel. 901005 Manual flywheel slicer Helmac 300mm.